We Know Just the Right Place! Today's commercial real estate transactions are complex. Most companies want a Realtor® to represent their interests in the transaction, not the interest of the landlord or seller. That's where our commercial Realtors come in. 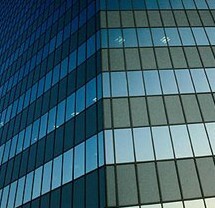 We exclusively represent the interests of the Tenant or Buyer in commercial Real Estate transactions. Contact America Commercial Real Estate today to discuss our real estate services. We believe there is a solution to every problem. When obstacles arise, our Realtors rely on knowledge and experience to arrive at the desired results. We network with local and national real estate companies. Maintaining these contacts keeps us up-to-date with the many factors affecting the real estate industry. We subscribe to several commercial listing services, which enable us to provide our clients with information regarding available commercial properties. We are committed to providing result-driven service. Our past performance has provided our clients with the results they desired, and we will do the same for you. A variety of training helps us deliver high-quality services to our clients. If you are looking for credible business people to work with, look no further. We have established our credibility in this industry and achieved mutual respect with our peers through honesty and a commitment to excellence in service. Contact us today for Commercial Realtors who specialize in retail, office, industrial, land, and investment properties.